Indeed, it's an irreplaceable loss to the University. HH is a scholar foremost and helped engender that "critical thinking" which is almost non-existent in this country. The current regime has no use for people who have that critical thinking faculty, hence they've made the University essentially a department run by the President's Office! All learned people know that this is wrong and not the way a University should be run anywhere in the world. Imagine Oxford, Cambridge, Stanford, Harvard and the likes being run on the whim of Downing Street or the White House! 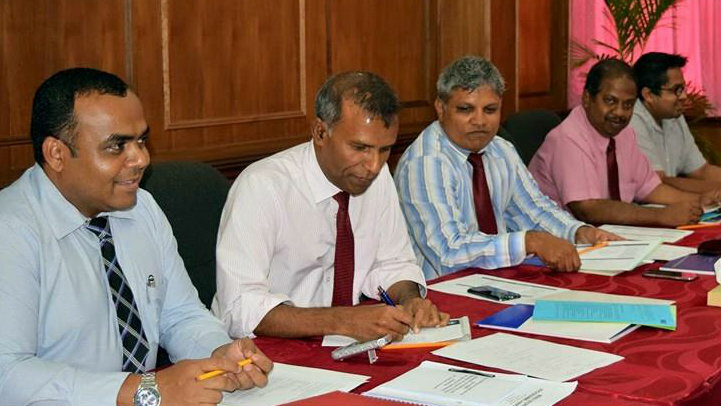 Raising the bar of higher education in the Maldives is difficult enough in the hands of experts. It will be impossible with political 'yes' men in charge! Wither the fledgeling Maldivian tertiary education system. This is totally untrue. I have worked with Dr Hassan for many years. Even people who does not like him has changed their views after they experienced his excellent leadership skills. He always focuses on the issue at hand and think critically about each situation before he acts upon it. He is a fountain of knowledge yet so humble and down to earth. We will all miss Dr. Hassan. Heartfelt thanks to him for his service to MNU and to our education system. If you look at all the love Dr Hassan is receiving and the millions of well wishes directed to him one would know how false this statement is. Dr Hassan is loved by all except for the ones who are jealous of his achoevements.